If there’s one thing I love about anime, it’s the rich casts of characters it so often fields. If there’s a two and a three, it’s the late-90s late night boom era and the compelling narratives out there just waiting to be pieced together. 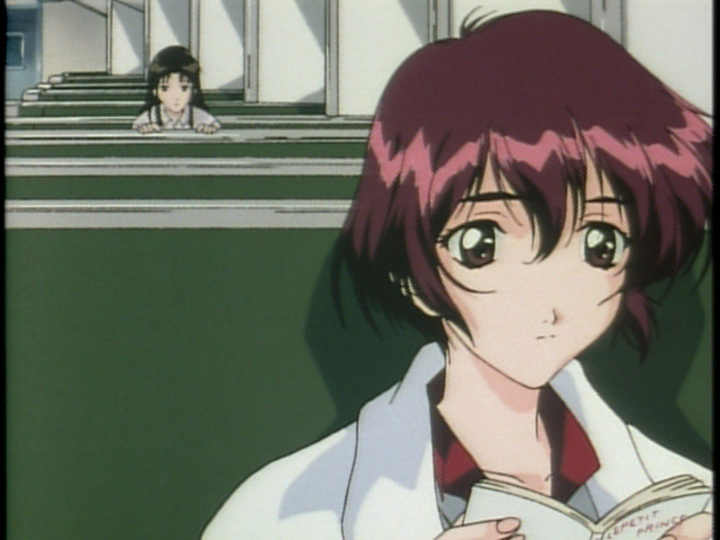 Recently, the latter two aspects led me to Sentimental Journey, a 1998 adaptation of the Sentimental Graffiti dating sim franchise and the directorial debut of Big O helmsman Kazuyoshi Katayama. Said Katayama narrative would make the show part of a fun narrative either way, either as a “Kiddy Grade/Shingo Suzuki-esque nurturing talent” type or a “before they were known, they were still great” type. 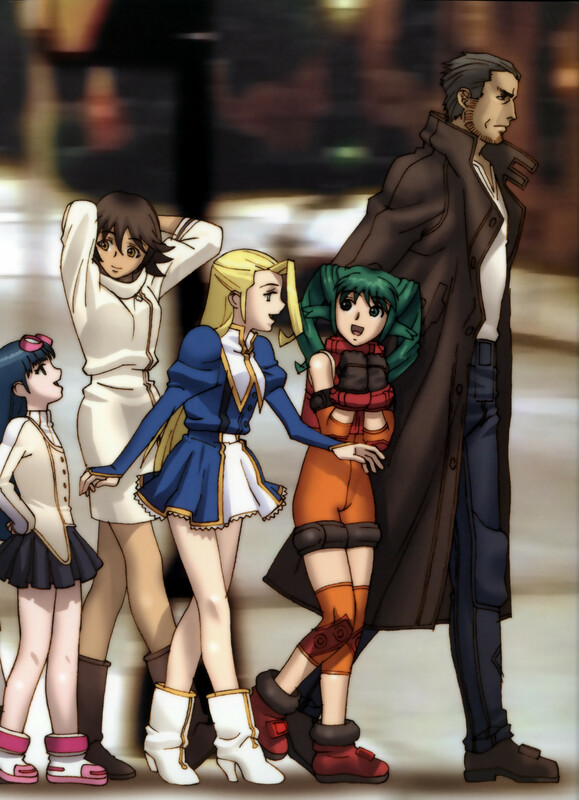 It still makes it more fun that the series ends up being the latter sneaky-great type, as solid an argument for the dating sim adaptations of that era as anything not named To Heart. 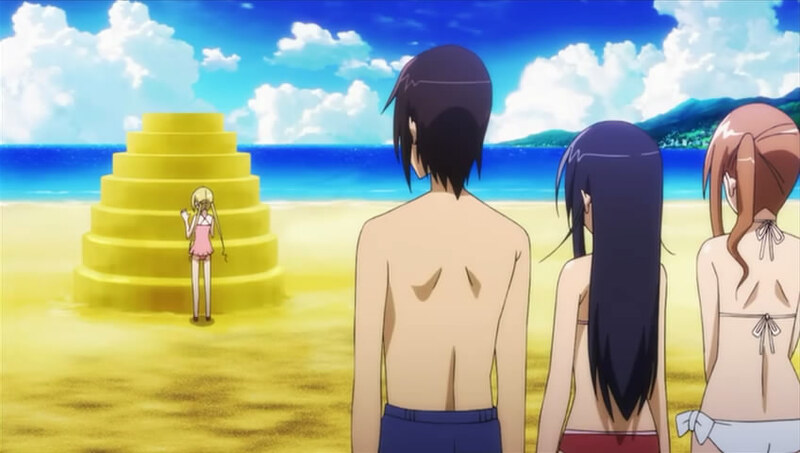 When I set out to watch anime from the glorious annals of history, there are three general lines of attack I follow. First, I look for agreed-upon classics, shows everyone agrees are great and influential. Second, I look at catalogs, shows made by directors, writers, or studios that have a bunch of other impressive tics on their resume. Third, I listen to recommendations when people make them. Solty Rei, a 2005 sci-fi show about bounty hunter/parent Roy Revant and his two daughters, found its way to me via the second and third channels. The show ended up being a wholly worthwhile experience, an easy marathon that rightfully belongs in the early Gonzo catalog with its host of impressive titles. Dusk Maiden of Amensia is a fusion romance/mystery show about a guy and a ghost girl trying to solve the mystery of her murder, with really awesome backgrounds. 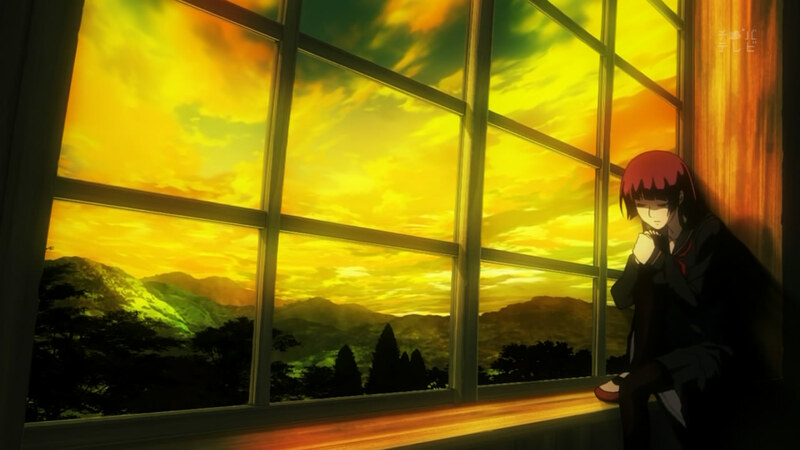 Am I the only one who thinks romance series and pretty background art go well together? If I’m not the only one, read on to find out why I liked this show as much as I did. With the obvious exception of Ozamu Tezuka, no single person has created more classic anime characters than Go Nagai, the father of super robots (Mazinger Z) and perverted comedy (Harenchi Gakuen). So it makes sense that his characters get the reboot treatment a lot. Demon Prince Enma is the most ambitious interpretation of his work I’ve seen to date, taking characters from a comedy featuring demons with butts for heads, aging them 10 years, and thrusting them smack in the middle of a dark, shrimp and grits horror story. Point of order before I begin, there is a certain flavor of story arc that only the best of creators can play. I call it the “dice in a cup” arc. It’s the term I use to describe what happens when characters in a scenario feel like dice spinning around in a heavily-shaken cup, slamming against each other and changing trajectories in way that feel at the same time natural and totally unpredictable. This is one of those things that’s very eye-testy; it’s very hard to quantify, but you know it when you see it. Demon Prince Enma has one such arc, a testimony to its general excellence. Full disclosure: Mysterious Girlfriend X is a show about a couple that swaps spit on a daily basis. If you’re the type of person who rejects shows on premise, you probably won’t give this one any more of a chance than reading the plot summary. Once you get past that one hurdle, though, the show is a decent romance which gets a lot of extra punch from an ominous, quirky soundtrack and an approach that treats the characters with dignity. There are a lot of mecha anime out there, and while I haven’t seen too many of them, I tend to really enjoy the self-aware mecha shows that take unique takes on the implications of the genre; stuff like Dai-Guard, where the focus is a hot-blooded protagonist dealing with various impracticalities of the genre, or Fist Planet, where the mech pilot just clowns around to pass the time in his dull job, or Gad Guard, which is all about the downsides of having a robot minion that does whatever you want. One day, I had heard a certain 90s mecha by the name of Gasaraki mentioned in this context enough times that I had to give it a look. Suffice to say it’s a lot less in the style of Ishikawa Ken (Getter Robo) and a lot more in the style of Kaiji Kawaguchi (Zipang, A Spirit of the Sun), a gripping political thriller. 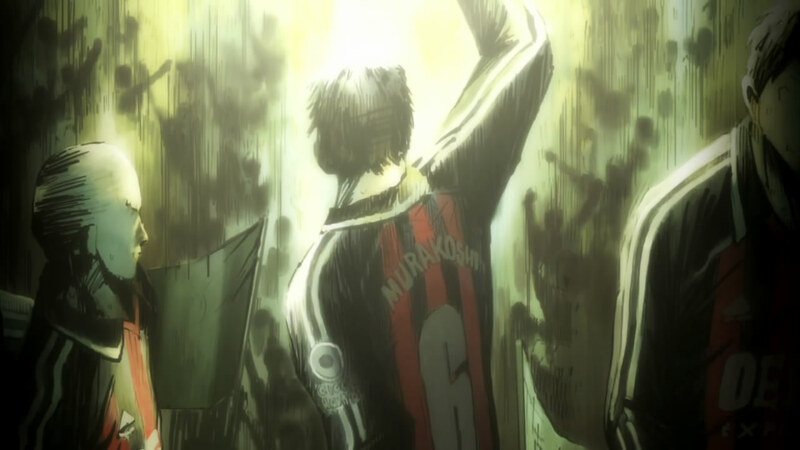 Giant Killing is an anime about professional-level soccer that aired in the run-up to the 2010 world cup, which should really be everything you need to know about the savvy IQ level of the ones making it. Being from America, I didn’t follow a particular professional team, and had a passing interest in the upcoming world cup. This anime changed that attitude, mainly by building a large-scale fun cast and integrating realism to a level I’d never before seen from a sports anime. 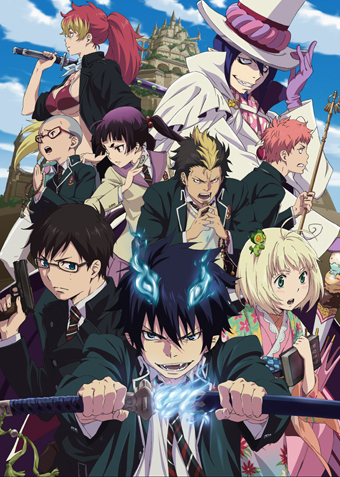 When I saw the first couple episodes of Blue Exorcist, I got the impression of a show that would be right at home on adult swim. It had flashy priests vs. demons action, decent drama, and a somewhat over-the-top plot (satan’s son on a quest for revenge against dear ol’ dad). That is pretty much how it played out, and the result was a notable, if imperfect show in one of the greatest seasons in recent memory. 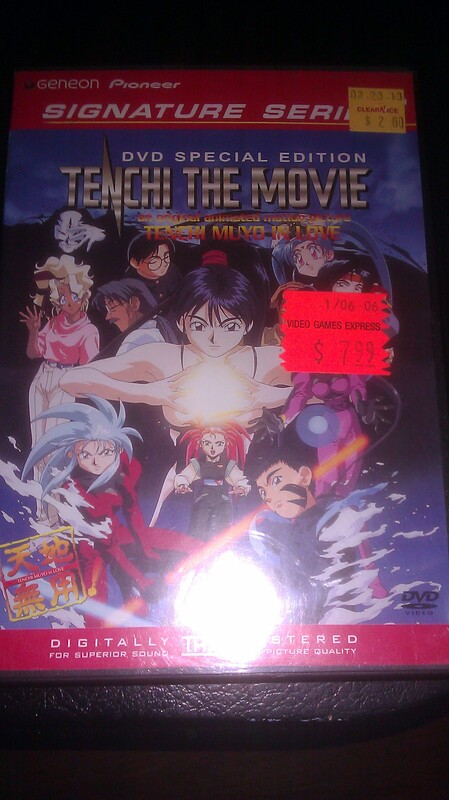 Recently, on an expedition through the netherworld of discount stores where old anime go to rust, I happened on a 2$ clearance copy of Tenchi in Love, i.e. the movie of the Tenchi Muyo franchise. 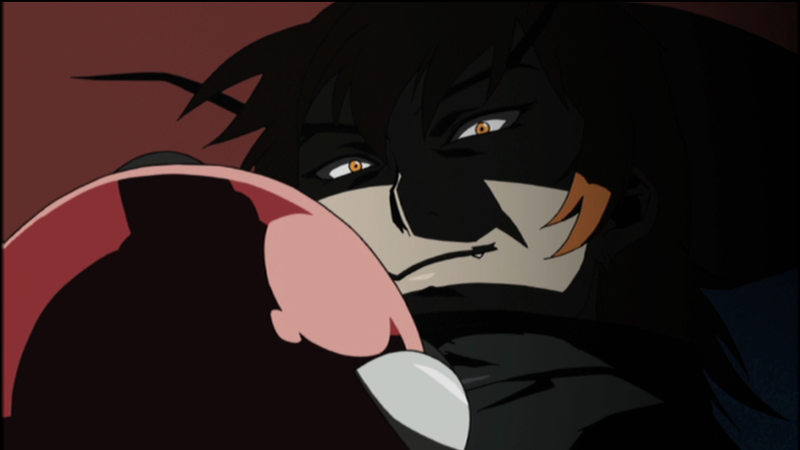 I had enjoyed the anime on Toonami when it was on, and though I never made a serious effort to finish it, I was familiar enough with the characters. I also recently enjoyed the spin-off series, Isekai Seikishi Monogatari, and had heard recent scuttlebutt that this movie was a fairly solid piece of work. To boot, it was sporting labels from multiple clearance stores, something that plays on a fundamental portion of my nature as a regular customer of such stores. So I sunk eight gumballs’ worth of cash into the poor little Geneon dub, and popped it in my dvd player a week later. Before doing so, I got out one cookie to eat. 30 minutes later, that cookie lay untouched beside me, which is your first clue as to how I feel about this movie.